Are you in the market for a 2017 Volkswagen Jetta? Make sure to first come in and take the all-new 2017 Mazda3 out for a spin at your Spinelli Mazda dealer in Lachine! It’s available in 3 different trims and has an MSRP that ranges from $15,900 to $20 300, making it more affordable than its VW rival, for which you will be shelling out from $16 395 to $ 28 495, depending on the model. Don't wait any longer and come see it up close at Spinelli Mazda today! We are easily accessible from the West Island and downtown. Under the hood of the Mazda3, you'll find a powerful 2.0 L 4-cylinder that will deliver up to 155 horsepower, and that's more than the 150 horsepower you get with the Jetta. Furthermore, you’ll have a 6-speed manual gearbox (unlike the 5-speed VW engine) or a 6-speed automatic transmission. And one more advantage the Mazda3 has over the Jetta is that it is available as a hatchback! Do you like the features of a sedan but prefer the sporty appearance of a hatchback? Then the Mazda3 Sport is for you! And this model provides you with a loading space that is much larger than the 450-litre trunk of the Jetta, with 572 litres in the trunk and 1334 litres once the rear seat is folded down. It is lighter than its rival Volkswagen (1291 kg compared to 1334 kg) and is also slightly wider with a greater wheelbase than the Jetta, which means more room for passengers. Finally, you'll be able to take advantage of a 5-year/unlimited mileage warranty for the powertrain on the Mazda3, versus a 5-year/100 000 km warranty on the Jetta! And among other features you might choose to add to your Mazda3, there is a power sunroof, a 7-inch touchscreen, a navigation system, air conditioning, push-button start, heated seats, and even more. Want to know more about the all-new 2017 Mazda3 and its many advantages over the 2017 Volkswagen Jetta? Come visit us today at Spinelli Mazda! 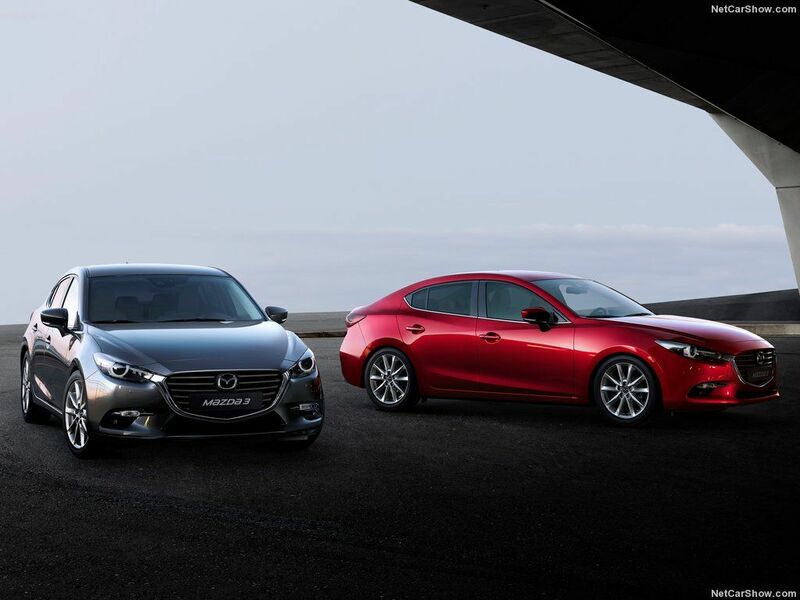 Once here, you'll be able to take advantage of our beneficial Mazda promotions, as well as the best Mazda financing options in the greater metropolitan region. We're expecting you today!